Someone has src code of this game mobile? Sad. I'm looking for server side src. AsliJowo It's missing some headers, like DNHeader.h and many others. You can't just to "download", it's necessary to buy. Is this using the source code? or did you just set it up using the released server files? Yes, I took a look through this and didn't find any servers. Just clients and tools. Wow, I was just thinking about this game yesterday lol. I'll mirror these files after I download them to probably google drive or something. Hello, I am a Korean. Can I buy your Iris Online file? 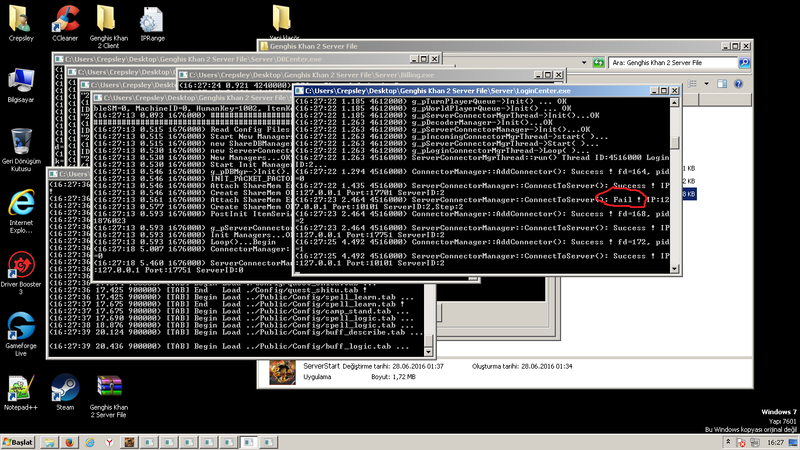 Hi bro i need ch3 source code please share for me because ch 3 files is have virus logincenter.exe is not work. Hi, do you still have the original clash of clans source code? Can you provide a new download link? Ah, good to know. I was just curious, it looks like a pretty good anime. Does it have much fanservice in it? Genres include? Sorry, I figured you'd know a lot about it. Question for ya: what's the anime in your signature? thanks for reading msg'll be waiting for your response you soon. Do you have the password of this files yet? add my skype system4z to easy talking. 01:39 AM - cmb quoted Viserion in post Re: share the archlord2 full source for free. 01:06 AM - OofingMoth quoted Viserion in post Re: share the archlord2 full source for free. 12:21 AM - cmb quoted Viserion in post Re: share the archlord2 full source for free. 11:51 PM - cmb quoted Viserion in post Re: share the archlord2 full source for free. 07:26 PM - Hycker quoted Viserion in post Re: share the archlord2 full source for free. 04:23 AM - webmaster_imds quoted Viserion in post Re: [Development] My IRIS progress.